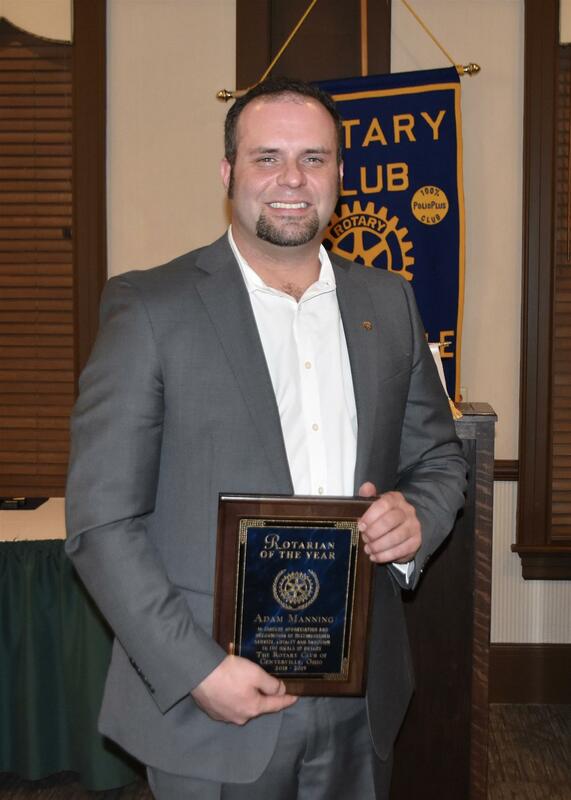 The 2018 Rotarian of the Year recognition was presented to Adam Manning at a recent Rotary meeting. Adam has been the driving force behind the past two Pancake days that have raised over $40,000 for our scholarship programs and other charitable activities. 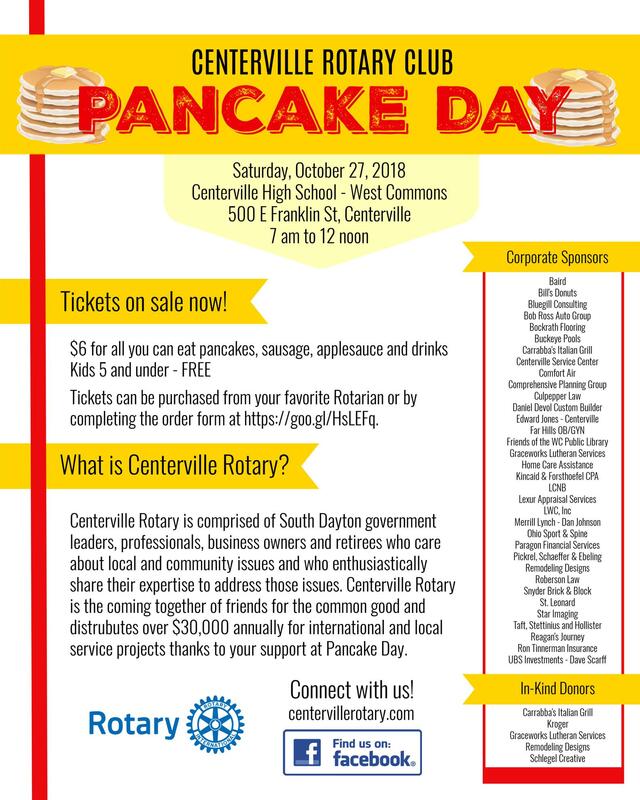 He was our face on TV: appearing on Centerville Reports Today and Living Dayton to promote Pancake Day, managed the inventory, and organized the kitchen during the day, to ensure quality, on-time product. He also strongly supported our mixer program that generate new members and gives members a chance to socialize in a casual manner. Please join us in congratulating Adam for his valuable service to our club! Thanks to everyone who supported our 18th Annual Pancake Day! We hope you had a great time! 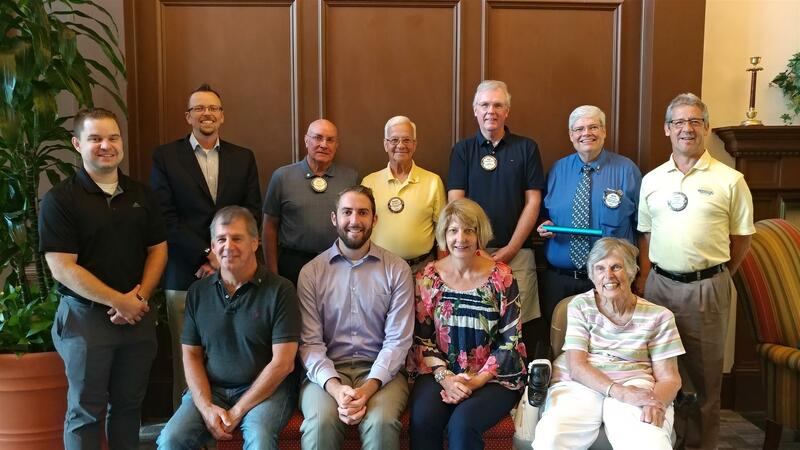 Congratulations to the 2018-19 Centerville Rotary Board. 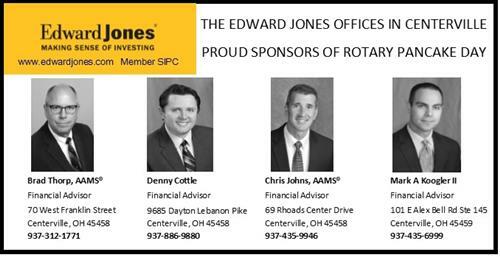 Thank you for your service and commitment to Rotary! 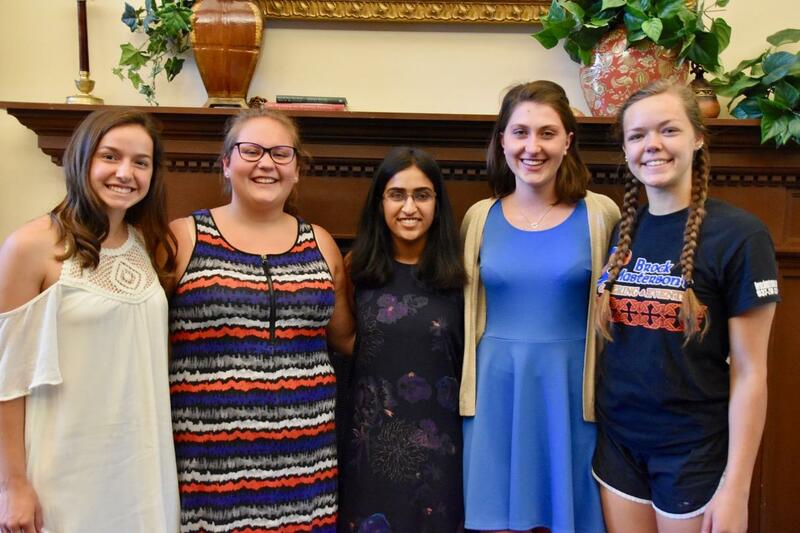 Read on to learn all about these amazing students and their goals for success! 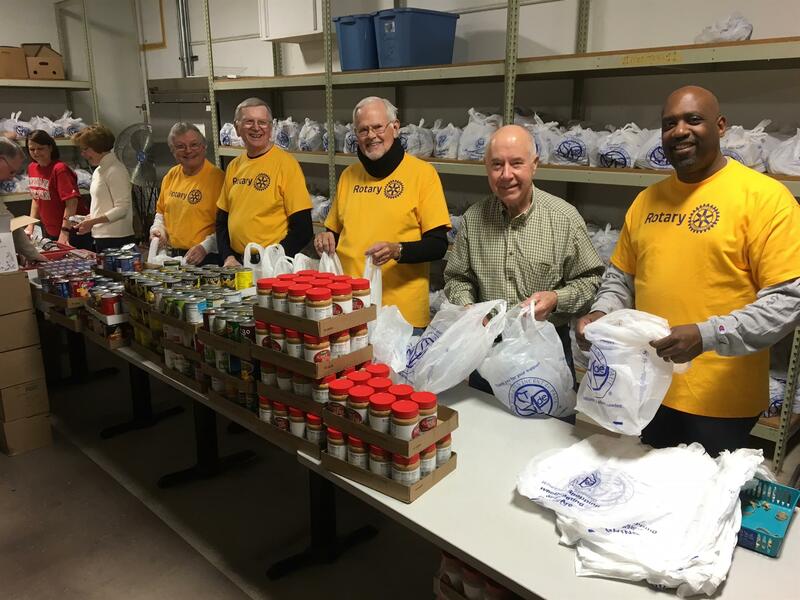 Forty-seven volunteers from the Centerville Rotary Club, some 60 members strong, donned their gold Rotarian at Work shirts March 19 for an all-inclusive service day at six Dayton area charity venues. 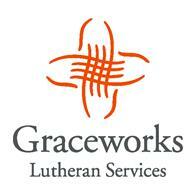 Six more volunteers will work a make-up day March 26 in the Centerville Washington Park District.